Jenny Hill, Feldenkrais Practitioner Diploma, MA (Dist), PGCE, Diploma Massage, Anatomy and Physiology. 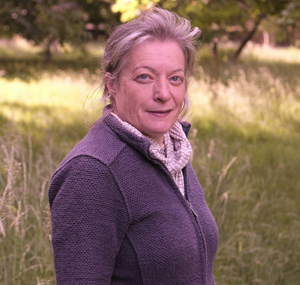 Lead Practitioner Rosey Grandage qualified as a Chartered Physiotherapist at St Mary's Hospital London and then, in 1991, went to China to study acupuncture, tuina and qi gong for two years. Since returning to London she has worked at the pain management centre at St Thomas' Hospital (1994-1997) and in private practice in West London. She teaches on the BSc Acupuncture course at the University of Westminster and in 1999 set up a diploma in Qi Gong Tuina at the university. In 2002 she started Prospect Chinese Medicine and Physiotherapy Centre in Hammersmith and Prospect Seminars which organises seminars for students and practitioners of Chinese medicine. In 2006 Prospect moved across the road and became Apothecary Natural Health Centre. Here she has gathered a team of experienced and newly qualified practitioners focused on providing expert care for the local community. She has sat on the executive committee of the British Acupuncture Council and is still a member of the professional conduct committee. She has published articles on qi gong and the treatment of children in The European Journal of Oriental Medicine, written articles on acupuncture for the BBC/Open University website open2.net and the physiotherapy journal In Touch. Recently she has published an artilcle on tuina Chinese massage in The Journal of the Acupuncture Association of Chartered Physiotherapists. She has appeared on LBC radio. At Apothecary she also runs Apothecary Gallery; a community interest company art gallery which provides affordable exhibition space for young artists, local artists and work which raises awareness of conservation and the environment. Member of the Chartered Society of Physiotherapists and the British Acupuncture Council. As a Chartered Physiotherapist Rosey is recognised by Private Health Insurers. Cheryll graduated from the London School of Acupuncture and Traditional Chinese Medicine in 1989 and then completed a postgraduate clinical course at Nanjing College of Traditional Chinese Medicine, China. She qualified in Swedish massage in 1984 and went onto further develop her skills by studying tuina massage from 1992-92 and again in 1996. She is qualified in Facial Acupuncture also Japanese Acupuncture. She qualified as an autogenic training practitioner in 2002. Autogenic training is a method of deep mental relaxation and can be used to resolve many problems and to enhance the progress of other treatments. In addition she holds a certificate in counselling skills and attitudes. She has taught advanced massage techniques to therapists and continues to teach on the Qi Gong Tuina Diploma at the University of Westminster. Jurgita graduated from the University of Westminster in 2014 having attained a BSc in Chinese Medicine: Acupuncture and have completed post-graduate courses in tuina Chinese massage. They are members of the British Acupuncture Council. Jurgita (with Alex) is now running the low cost clinic at Apothecary for acupuncture and Tuina massage on Saturdays from 11am to 6pm. Alex Kamilov is a graduate of the University of Westminster. He is a member of BAcC and he has been working as acupuncturist and Tuina massage therapist for more then 5 years. Since graduation in 2014 Alex has been enriching his skills by attending seminars and work shops. Alex has a particular interest in treating a wide range of musculo-skeletal conditions and follows the ‘tangible acupuncture’ approach in which patients feels immediate results after the treatment. During his treatment sessions Alex combines acupuncture, tuina massage and lifestyle advice to maximise efficacy of the treatment. Alex believes that positive treatment results can only be achieved when both the patient and practitioner are actively involved in the healing process. Alex (with Jurgita) is now running the low cost clinic at Apothecary for acupuncture and Tuina massage on Saturdays from 11am to 6pm. Jonathan is a practitioner of Tuina and Shiatsu. 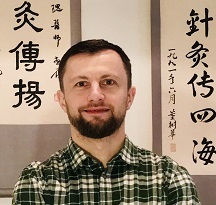 He trained in Qigong Tuina at the University of Westminster and Tuina at the London College of Traditional Chinese Medicine (LCTA). He teaches and is a clinical supervisor at both institutions. Jonathan trained as a Shiatsu practitioner at the Kikai Centre in London and has studied in a post graduate intensive programme with Sonia Moriceau at the Healing Shiatsu Education Centre, in the Black Mountains since 2000. Monica graduated from the University of Westminster in 2013 with a degree in Chinese Medicine: Acupuncture, has completed training in tuina Chinese massage in 2012 and is now furthering her studies with an MSc in Chinese Herbal medicine. During her treatments Monica combines acupuncture, tuina massage, cupping, dietary and life style advice to help her patients gain good health and joy in life. She has an interest and experience in treating digestive disorders, sleeping problems, stress/anxiety and pain management. She believes that it is an understanding of different natural therapies and practical advice, used in combination with modern medicine, which creates lasting results for patients. She has worked at Be Well London, a multidisciplinary clinic, where she gained experience of working with a wide range of practitioners and an insight into how and why different therapies work. Scott is a graduate of the University of Westminster. His interests include musculoskeletal conditions (where he often uses a combination of tendon stretching, needling and moxa), dermatology and digestive issues. He studied extensively with the late Phil McQueen whose seminars taught him to deal successfully with a wide range of musculoskeletal problems using advanced acupuncture techniques. He also worked with John Tsagaris for several months learning his beauty and cosmetic acupuncture techniques. He is experienced in treating a wide range of conditions especially using Chinese herbal medicine to aid digestive and stress related problems. Kirsty is a counselling psychologist practicing an integrative approach, her main model is Cognitive Behavioural Therapy (CBT) but she also includes psychodynamic and person centred therapy when necessary, aiming to provide a holistic approach that meets individual needs. She has extensive experience of working with a broad range of presenting difficulties, particularly depression, anxiety disorders, interpersonal and relationship difficulties and specialises in the treatment of trauma and Post Traumatic Stress Disorder (PSTD). She has developed her private practice over 12 years working with a wide range of patients and presenting issues. She has also written and edited various BBC publications on a range of issues affecting adolescents. Accredited by the Health & Care Professionals Council (HCPC) as a registered practitioner psychologist, Chartered member of The British Psychologist Society (BPS), full member of the Division of Counselling Psychology. Post MSC Counselling Psychology (Chartership), MSc Counselling Psychology, Post Graduate Diploma Integrative Therapy, BA (Hons) Psychology & English Literature. Information on our London treatments can be found here. To book an appointment or learn more, please contact us by email or telephone. Information on our Brecon practitioners can be found here.